The Asir Magpie is an isolated and distinct form of magpie inhabiting the highlands of south-western Saudi Arabia. While superficially similar to Eurasian magpie (Pica pica), the Asir magpie has darker plumage, a much larger bill, and distinct vocalizations. As the species is globally endangered and Saudi Arabia's only endemic bird species, it is a very high research and conservation priority. The Smithsonian partnered with Saudi Aramco and the Saudi Wildlife Authority in 2018 to lead the first in-depth investigations of this little-known species. 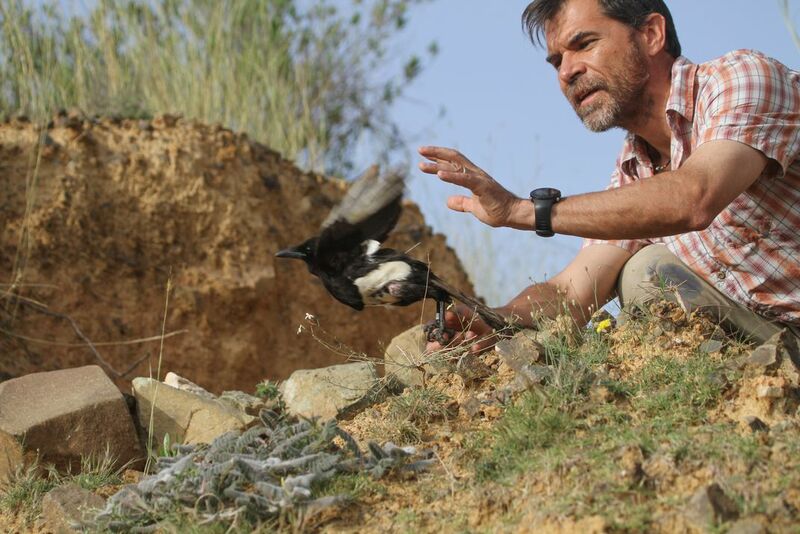 In the summer of 2018, Smithsonian biologists initiated a joint project, in collaboration with Saudi Aramco’s Environmental Protection Department and Saudi Wildlife Authority, to study for the first time the ecology of the Asir magpie in-depth. Little is known about the diet, breeding, or movements of this species, which is restricted to a small area of rugged mountains in southwest Saudi Arabia. The species’ range, primarily falling within Asir Province, is characterized by dramatic escarpments, terraced hills, and juniper forests. Unfortunately, this austere landscape is threatened by rapid development of vacation homes and hotels and resulting deforestation of the limited remaining juniper forests, which are the primary habitat of the Asir magpie. 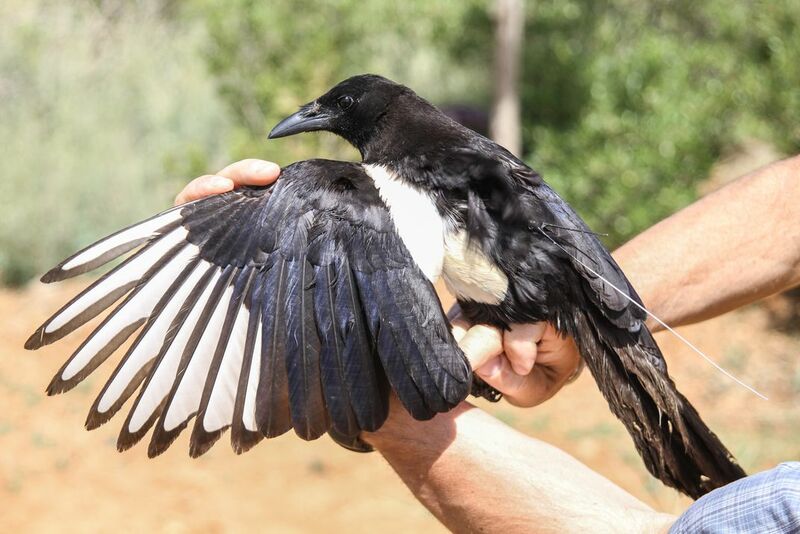 During fieldwork, the team located several pairs of magpie, and managed to catch several birds to take morphometric measurements, collect samples for genetic analyses, and deploy miniature satellite transmitters to study the movements and habitat use for the first time ever. This tracking data will help to describe the ecology of the species in depth, including home range size, seasonal movement patters, and juvenile dispersal. Stay tuned for updates as we acquire data in the coming months.